We just wanted to take the time to say a huge Thank You for all of your support! The majority of our business stems from client and customer referrals and we think it is important to let you know that we appreciate it. 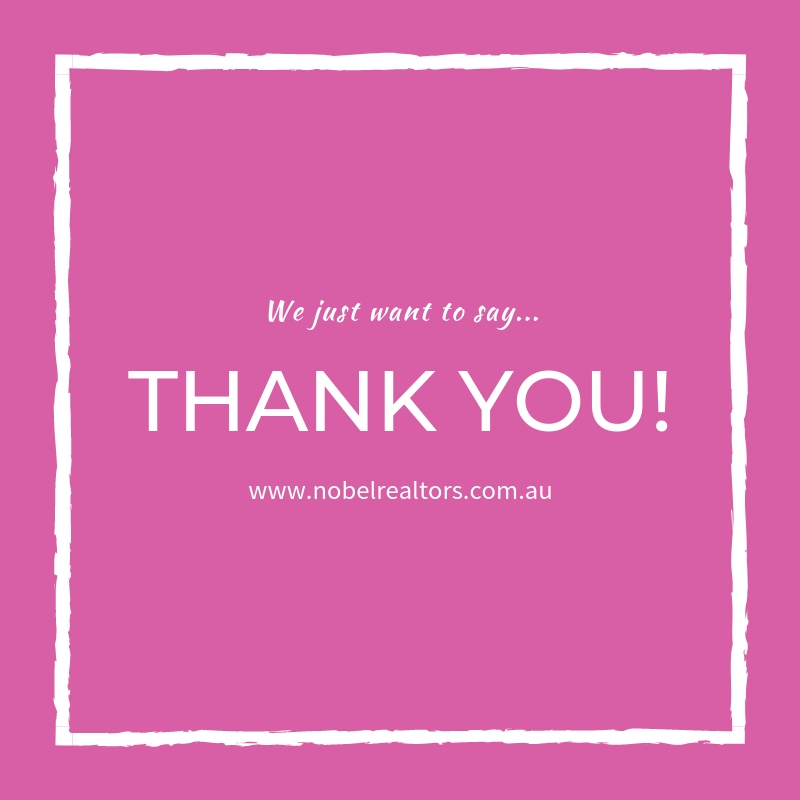 If you know of a family member, friend or colleague who is considering selling their home or perhaps looking for a proactive Property Manager, we would be happy to have a chat about what is happening in the market at the moment! We can provide an obligation free Comparative Market Analysis to assist in their decision making and give them the tools to help understand the selling process. We pride ourselves in being proactive and approachable for both tenants and landlords! It is important to us that you are happy and that your investment is well looked after! If you know someone who we may be able to help, please give us a call or email. We'd be delighted to help!